Presenting the Shriram Insight Partners Program. 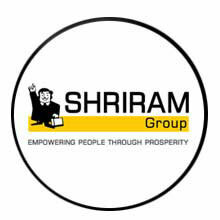 Use the dual advantage of Shriram Group’s strong brand image and the goodwill you enjoy with your clients to earn more revenue. For Sales Oriented financial advisors who want to add to their revenue. Administration Support – We provide you with all the relevant documents for for signing up the customer for our exclusive products. Infrastructure Support – You have all the branch support. You can walk into any of the branches to use the premises to conduct a meeting. Product Support – We provide all the relevant training for our products through classroom training , online and offline training. BSE, NSE, NSE F&O, BSE F&O, MCDX, NCDEX, NSDL, CDSL, E-Trading, PMS, Mutual Fund. You as an Entrepreneur having your own business, knowledge, legacy, and financial freedom can stretch the potential of your clients. Get broking accounts, Fixed deposits, Mutual Funds and maximize your growth.